Gold teeth are a form of dental prosthesis. They are sometimes used for cosmetic purposes. 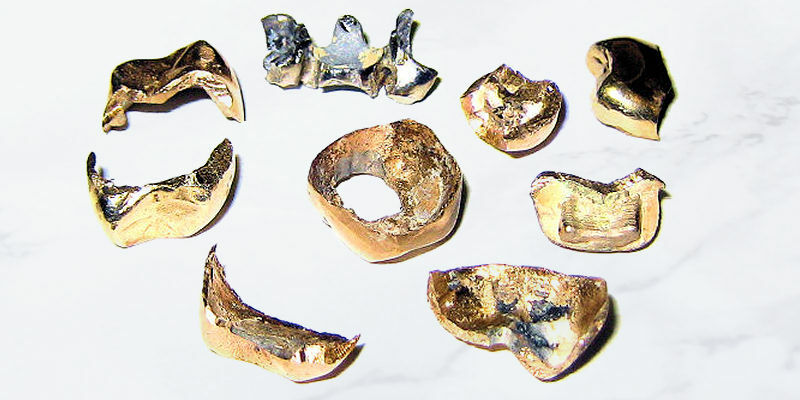 Dentists have used gold for filling cavities (before mercury amalgam became available), for crowns, and for other purposes. 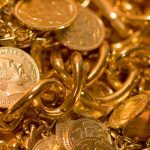 Gold is malleable, nearly immune to corrosion, and hard enough to form a biting surface that can be used for years. Gold had been used before silver was available and continued to be used for specialized purposes. After 1980, gold inlays, and gold foil work became rare in the United States. In certain regions of the world, especially in the former Soviet Central Asia and the Caucasus, gold teeth are worn as a status symbol, a symbol of wealth. Originally the most expensive historical dental prosthetic, these are sometimes now installed in place of healthy teeth or as crowns over filed-down healthy teeth. Grills, false tooth covers made of metal, have become a popular hip hop fashion in the United States. While some rap musicians have had their gold teeth permanently attached to existing teeth, most people who purchase them for aesthetic purposes opt for removable gold teeth caps. In 2005, Nelly released the rap single Grillz which promotes the dental apparatus. Gold teeth as a fashion statement began in Miami Florida sometime in the 1960s, but it wasn’t until the 1980s that gold teeth became popular in the hip-hop world.